This post brought to you courtesy of my uncle who wanted more people to know about the shingles vaccine and other adult vaccines. Flu shots have been available since October 1st. If you haven’t had yours yet, ask your doctor. For most of us the benefits far outweigh any risk. Contraindications include allergy to eggs. 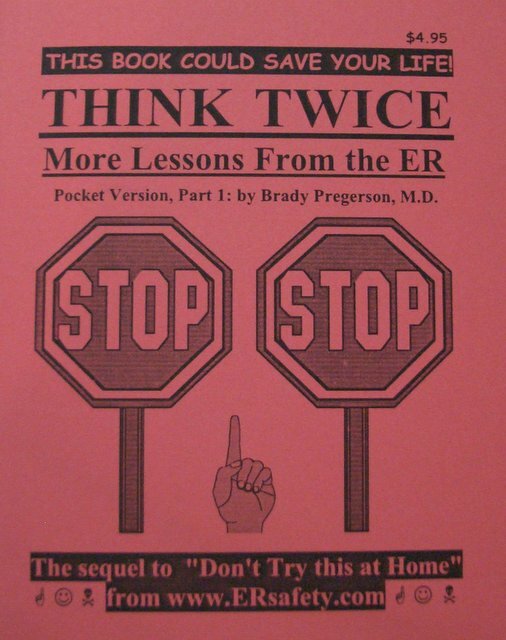 An ounce of prevention is better than 6 hours stuck in the ER. Read and learn from the mistakes of others (with a laugh here and there). 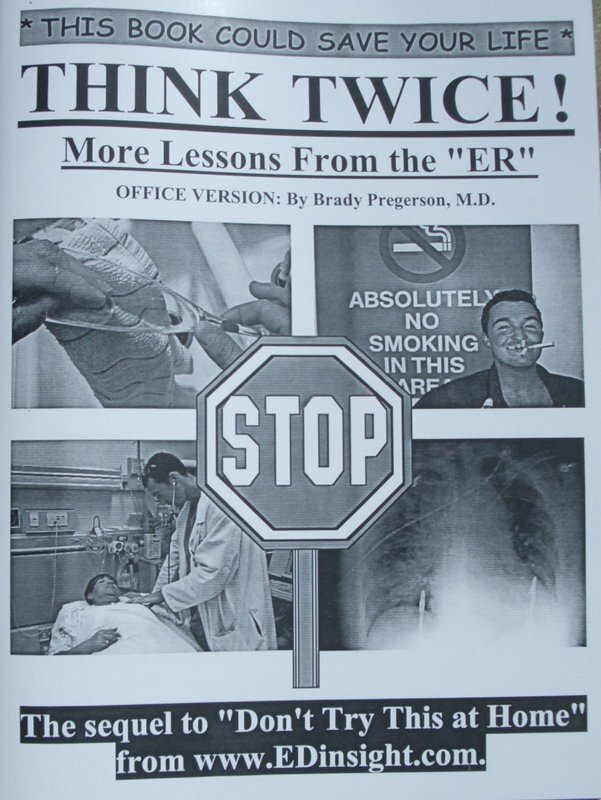 Here are 147 things not to do unless you want to end up as a patient in the ER. More lessons, more bad ideas, more learning from the mistakes of others, more ways to stay alive and to stay out of the ER. Serious yet humorous, this is a book people will actually read. Takes over where Don’t Try This at Home leaves off. More advice in the economy size that fits in your pocket. A great stocking-stuffer or party favor. 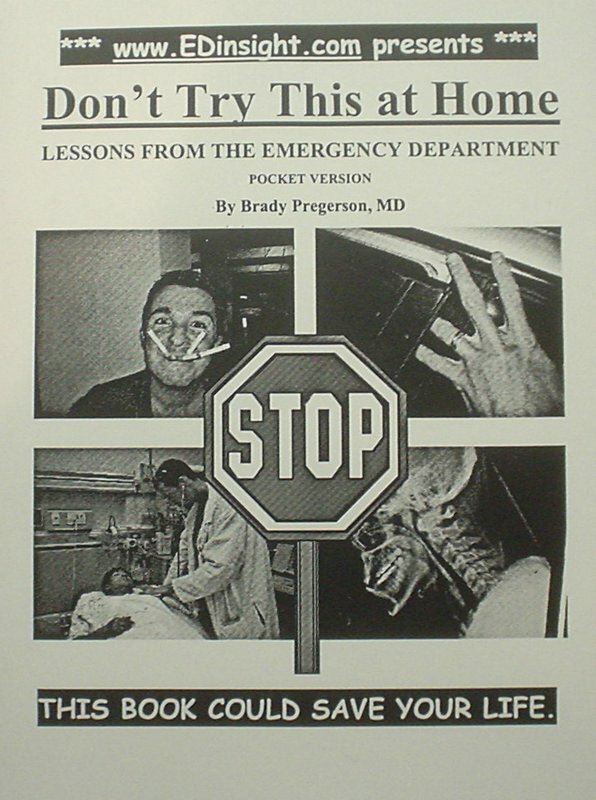 An 8.5 x 11 version of the sequel to Don’t Try This at Home for your coffee table, waiting room or anywhere else. Keeps guests entertained, patients patient, and everyone healthy and out of the ER. 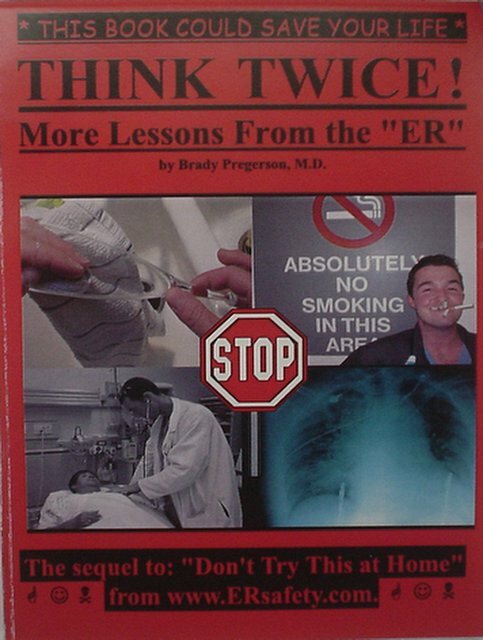 One out of every 7 U.S. citizens visits the ER each year. Take our advice so you don’t have to be one of them! Read our tips and if you like them read our books. Go ahead and share GotSafety.org tips and books with your friends. These are not urban legends, but real cases seen over and over in the ER.